Hello sweethearts! Before I am going to leave the house to spend an evening filled with music by the Grandbrothers, I want to write a few lines to you. I really start to looking forward to spring. Yesterday the weather was so amazing in central Germany that we almost spent the whole day outside in Aschaffenburg...a city not far away from Francfort that people lovingly call the "Bavarian Riviera". The atmosphere was just great. The people were in a fantastic mood and we could have our coffees outside in on the terrace of one of those beautiful cafes at the border of the River Main...We chose Pier 18, a wonderful place to be as you can see in the picture. 1.Exotic Evenings Skirt and Coming up Roses Linen Knit by Kelly Love..The perfect marriage of colours, patterns and textures. he pattern is great and I like to wear pencil skirts with my beloved Stan Smith. 2. 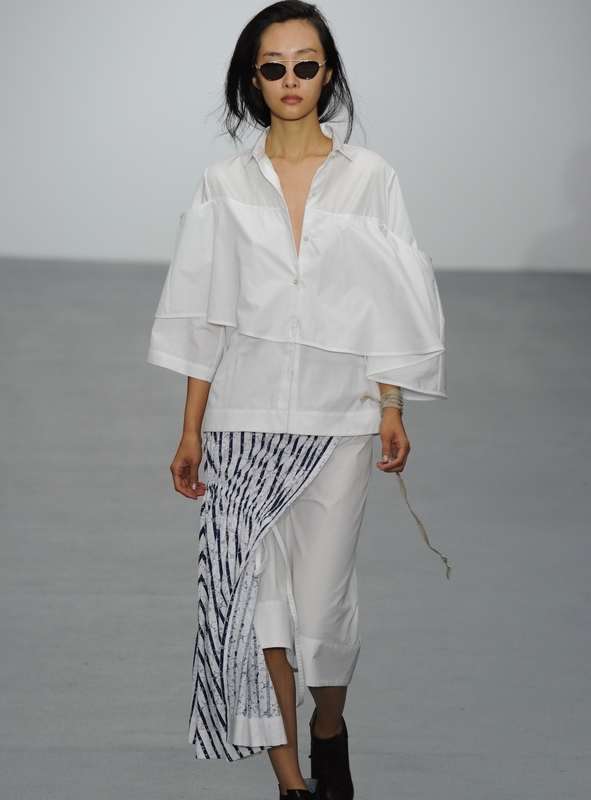 The Marlon Shirt in White by Eudon Choi. The white shirt, one of the dominating fashion trends 2016, is so unique and extravagant in its design that makes it so hard not to want it. The flounce detail takes the boyfriend cut to a wonderful level of female elegance. 3. 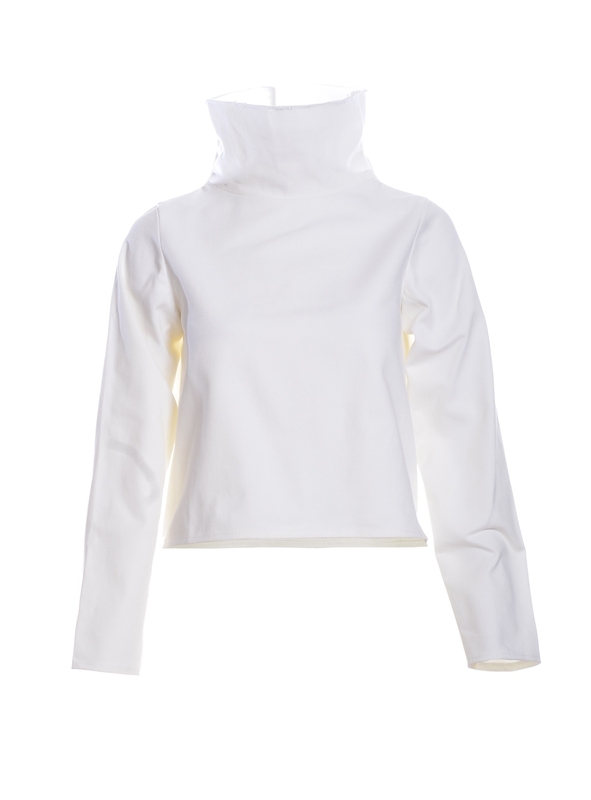 White Frayed Denim Cowl Top by Charlie May. The denim trends 2016 are inexhaustible but for me this piece by Charlie May is simply extraordinary. As I wear my hair really really short right now and with big statement glasses I guess this top is the perfect face framer. 3. Rusted Hearts Shirt dress by Kelly Love. 4. 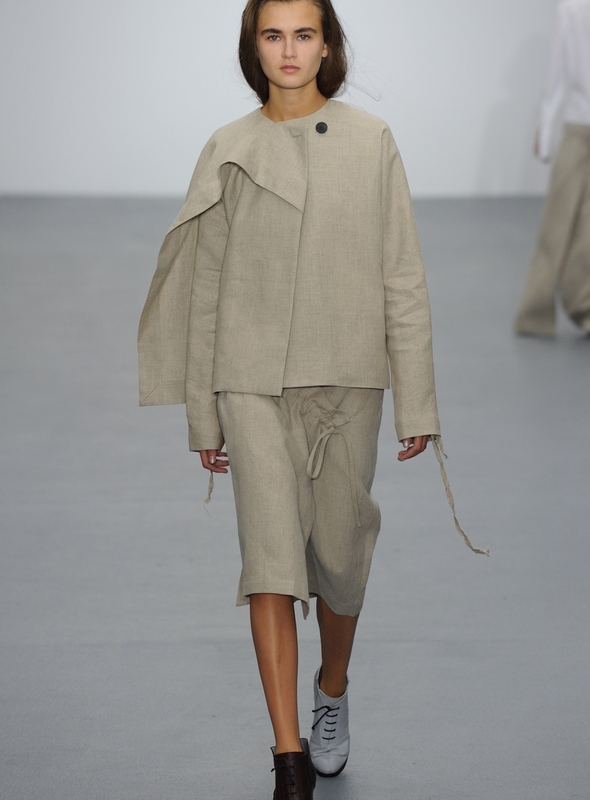 Bridell Jacket in Natural Irish Linen by Eudon Choi. Sweethearts, that was my last piece for today by the YBDs but I am definitely coming back soon...That's for sure. See you soon on Glimpses at Fashion. Enjoy some fashionable moments in the meantime. Awesome post. Thanks for sharing babe. Have a great week. Thank you, dear Len!!! Enjoy your week too!!!! Thank you Marie, I love it, too esprecially the combination with the pencil skirt.